Introducing the newest addition to our collection of modern dining chairs, this beautiful Kirkland Dining Chair is a perfect addition to add to your home if you'rel looking to give your interior an instant modern upgrade. Featuring chrome legs these Kirkland chairs come in Grey, Black, White Or Beige, Hand crafted to the highest quality it's ensured to last a lifetime. 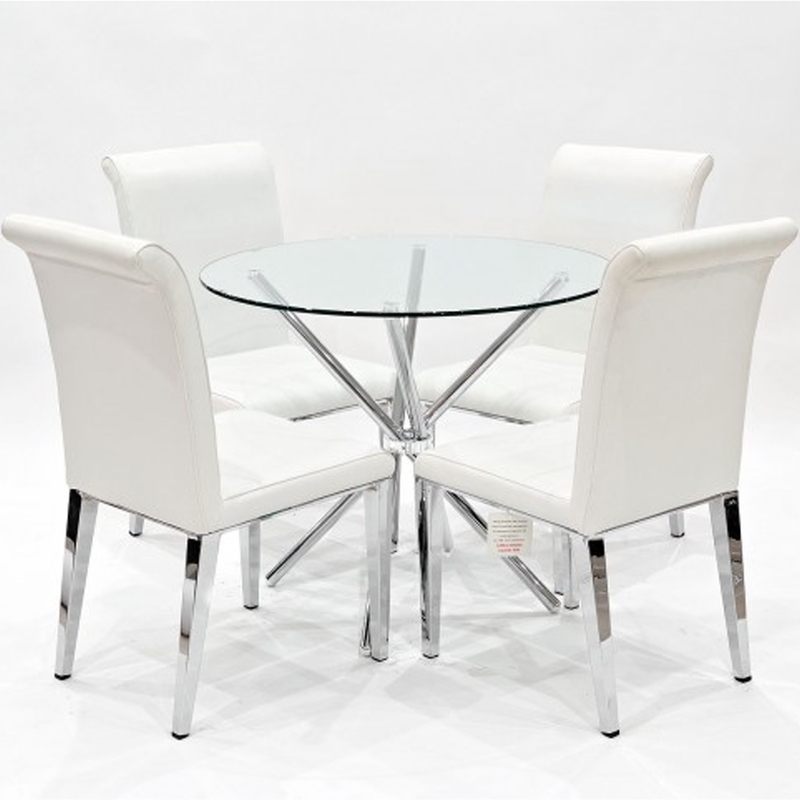 Put alongside this lovely criss cross dining table which features a round table top and chrome base this dining set is ensured to bring your home interior to life with minimal effort.